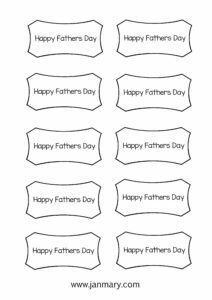 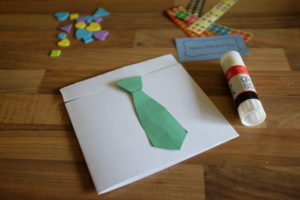 Looking for an easy toddler Father’s Day card craft – I loved making this one for our church Toddler Group, and want to share it here, including a FREE printable to download to make it even easier for you! 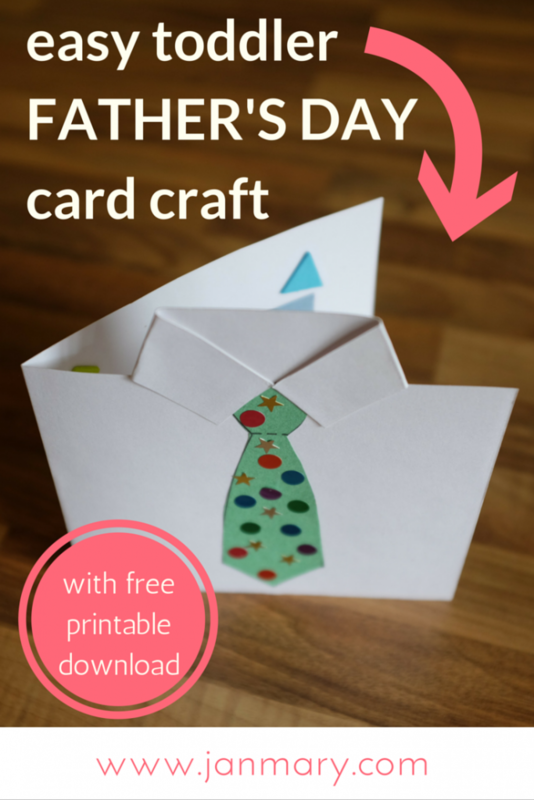 If you are making just one card, DOWNLOAD here or click on image above. 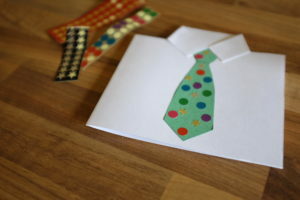 If you have lots of cards to make DOWNLOAD a page of ties and DOWNLOAD a page of the words or click on images above. 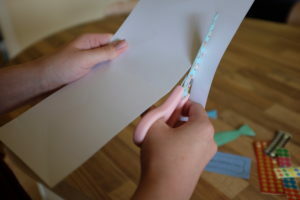 This bit need to be done by an adult – begin by cutting a strip along the top of the back of the card. 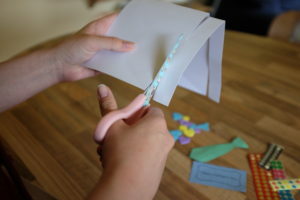 Keep cutting the front too until about 1/3 of the way along the front of the card. 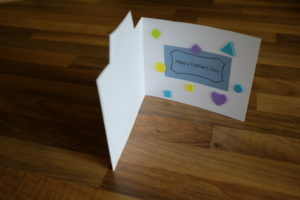 Cut of the back part, but as shown in the photo, cut part way along the top of the other side of the front of the card. 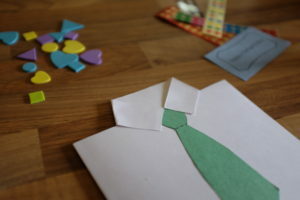 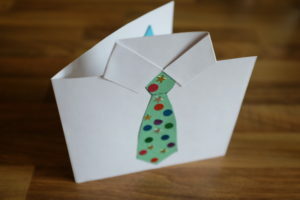 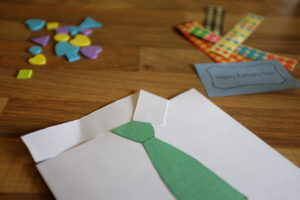 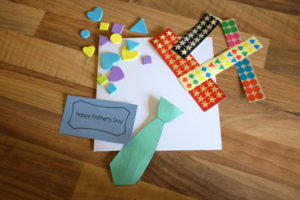 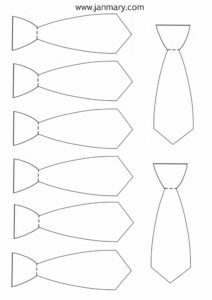 Now the kids can help – glue the tie on the front of the card, then fold down the two strips on the front and glue them down, creating a shirt collar. 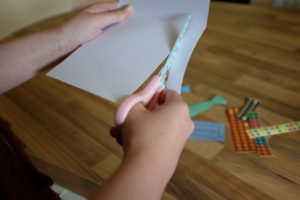 Time to decorate – we used self-adhesive stickers but anything would do – paint, coloured paper, scraps of fabric …..
add the words and more stickers inside. 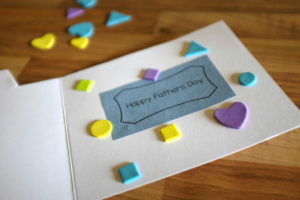 I hope you enjoy making your Father’s Day card. 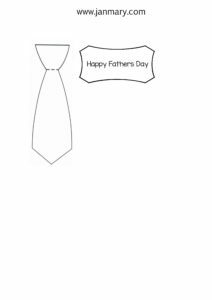 If you are on Pinterest, I would LOVE it if you could pin this for me – thanks!